Cloudy In Nashville | Making Clouds as simple as they can be, but no simpler! This year it will be held on Saturday April 27th. Many of the details are still being finalized, however, we are currently soliciting presenters and local sponsors. There will be a number of global sponsors, including Microsoft that will be providing food and other giveaways for the event. If you have a topic that you would like to present, please let me know at wzack@live.com. If your company would like to sponsor the event, then let us know that as well. For that please contact Roger Dahlman: roger@dahlman.net. And if you would like to volunteer to help with the event in other ways let us know that as well. As many of you may know I have been involved with Azure from its very beginning. As a Microsoft Architect Evangelist, and later as a Consultant, I have helped many Microsoft customers and partners adopt Azure successfully. Some of these engagements have involved creating brand-new greenfield applications to run in Azure. However, many of them have involved either the migration of existing on-premises applications and infrastructure to Azure or the implementation of a Hybrid approach that spans both Azure and on-premises infrastructure and applications. When faced with the desire to take advantage of Azure in some effective way most companies are in a quandary as to what to do first and how to go about it. For many of them we have recommended and executed a Migration Assessment Project. That is the subject of this article. It covers what is in and out of scope for each phase, the deliverables of each phase and the actors involved. In this article we assume that the project will be delivered by a Consultant (or a consulting firm) to a Client company. Note that this methodology is also suitable for internal use within a company. It covers everything from the time that an initial Statement of Work (SOW) is signed until the final Assessment Report is delivered. It does not include the procedure for developing an SOW, as that will differ by company. It also does not include detailed procedures for installing any automated analysis tool like Cloudamize, Movere or the Azure Migration Assistant, although such tools are highly recommended. It also covers only Migration Assessment. Procedures for detailed Migration Planning and Execution are out of Scope for this document. However, at the end of the Migration Assessment Project a rough preliminary plan may be developed. How far to go with that should be agreed upon prior to the assessment. Note that Planning involves developing a detailed plan for migrating specific applications/systems/workload to Azure. Migration Assessment stops with the identification and prioritization of the applications/systems/workloads that are likely migration candidates. We have taken the approach here of just listing bullet points in most cases because explaining every one in depth could result in a book-sized document instead of a blog post. Nevertheless, this should give you a good starting point. SOW Development occurs some time before the Migration Assessment project itself. We are including it here for completeness even though it is not strictly speaking a part of Migration Assessment. It covers from the time that an SOW is deemed necessary until the SOW is actually approved by the Client. This phase is internal to the consulting organization executing the project. Identify and commit the Consulting Resources to work on the project. Create a Project file in a plan repository such as SharePoint. Determine if an automated discovery tool like Cloudamize, Movere or Azure Migrate will be used. Ask the Client to fill out a Pre-Migration Assessment Questionnaire. This should include questions on business objectives, facility locations, technologies in use, licensing considerations, etc.. Install the discovery tool one to two weeks before the Project Kickoff. Let the tool run for at least one week. Run the tool reports at the end. Format the results in Recommendations Format. Be clear that these are only preliminary results. Prepare an hour-by-hour Kickoff meeting agenda. Also prepare a presentation deck for the meeting. Review the SOW and explain the Migration Assessment process. Determine if the Client has any preference for which applications or workloads they would like us to focus on first. Often a Client will have determined preferences in advance. Prepare for the Functional Meetings by reviewing the tool reports (if used) and any other initial documentation provided in advance. Collect existing documentation (Server/Workload/Application inventory) where available. This can be used to determine interview order. Identify the stakeholders who must sign off on the results. Meet with the relevant audience, review the Pre-Assessment Questionnaire and confirm responses. Fill in any gaps. Review the relevant questions for that audience as well as any additional questions that we need answered to find out what else we need to know. Discuss the preliminary tool recommendations (if used). Explain that this is a first look and not final. Form conclusions and/or determine the need for additional information. There are two methods to be defined for discovery and analysis: an optional automated tool, like Cloudamize, Movere or Azure Migrate, and Manual Discovery. Even in the case of tool based discovery manual analysis will still be required to complete the process and draw conclusions from the data. Tool reports will just be used as input to the process. In the case of Manual Discovery, perform the discovery process manually by collecting architecture and workload data on potential applications and workloads that are appropriate to move to Azure. Analyze application/system/workload documentation provided by the Client. Review candidate applications for Cloud appropriateness (Fit). Evaluate whether the application is appropriate for running in the Cloud. Determine Business Criticality of the application. Evaluate potential Risks & mitigations. Develop a high-level cost/benefit analysis. Identify low-hanging fruit, minimum Time to Value (TTV) opportunities and the Return on Investment (ROI) of moving selected workloads/systems/applications to Azure. Determine migration approach such as Infrastructure as a Service (IaaS), Platform as a Service (PaaS), Software as a Service (SaaS) or a Hybrid approach. Rehost (Lift and Shift as-is to the cloud. Host in a VM or PaaS Compute platform such as Web Apps). Refactor (Move to Azure with some modification to take advantage of Azure PaaS Services such as Azure SQL Database). Reengineer (Restructure the complete application to take advantage of things like Microservices, Containers, Serverless computing, etc.). 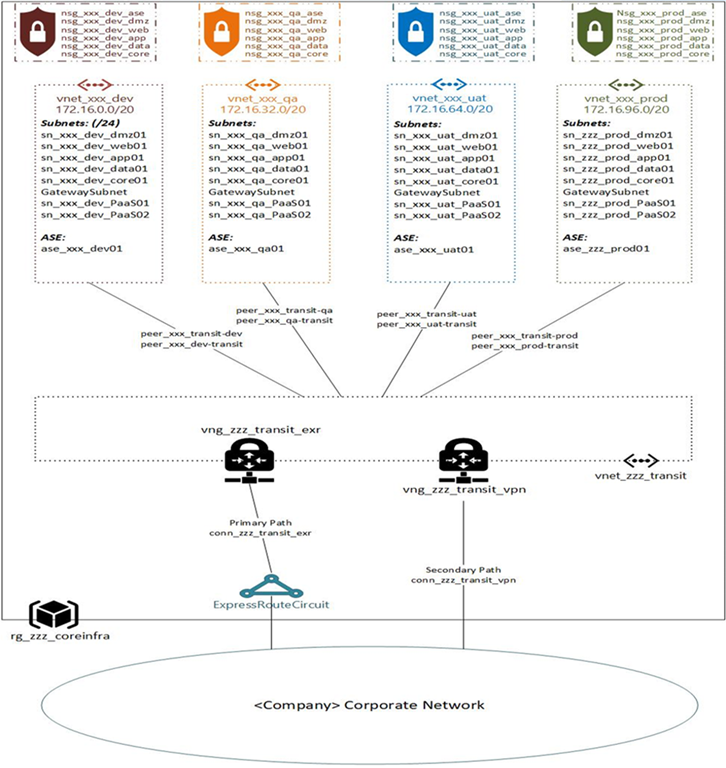 Identify the physical servers or VMs that support each application/system/workload. Develop a preliminary priority list for Migration to IaaS, PaaS, SaaS or Hybrid. Review tool data. Look for exceptions that might preclude tool use (disk size, IO, performance, configuration, etc.). Determine servers and/or VMs that are related and group into potential migration sets. Consider ease of migration and tools/approach to be used. Consider suggested migration tools to be used such as Azure Site Recovery, Azure Database Migration Service, etc.. Define supporting infrastructure changes required, if any. Identify Backup and Disaster Recovery (DR) requirements. Determine Multi-Region strategy if required. Rank applications/systems/workloads on a grid. Answer the question: Why this one vs. that one? Hold Post analysis review with the Client. Make recommendations on what needs to be done next. That could include Migration of the top 5 targets. It may also include a preliminary Migration Plan, although that plan will need to be refined following the Migration Assessment. Deliver preliminary cost for the proposed migrations. Evaluate the Client’s fitness to adopt Azure. (See What is your Azure Maturity Level? ) This should include considering Technical and Business considerations, staff skills, etc. Determine the required training for the Client to make them ready for Azure and to be self-sufficient afterwards. Determine if the migration(s) should include a change in culture to DevOps. Hold the project close out meeting. Submit final consulting invoice to the Client. An effective Azure Migration Assessment is critically important to the success of a company’s transition to Azure. No-one should attempt migration without a solid assessment and a plan. Although the methodology set forth herein may not be applicable in every case or usable as-is for every Migration project we feel that it will be useful in developing your own assessment and guiding you to a successful migration to Azure. As always we are interested in what you think. Let us know if you agree, disagree or have suggestions for improvement. We had another outstanding meeting Thursday night. with a good turnout. Although over 70 registered for the meeting only about 20 actually made it to the meeting in person. Please be diligent in changing your status from “Your Going” to “Not Going” by the morning of the meeting if your plans change, so that we can adjust the refreshments order accordingly. We also streamed the meeting using Skype for those who could not attend in person. That worked out well; and we will probably do it again in the future. However, there is really no substitute for attending in person and networking with your peers. If you are interested in our upcoming meeting schedule, and/or to find out more about the group, we invite you to visit the group’s Meetup site. As usual we started our meeting with ½ hour of networking and refreshments. After that we delivered a brief presentation about the group for new members. In addition to covering the Mission and Structure of the group, the Board of Directors, and our Sponsors we also covered recent Azure announcements that we felt were most important. Following that, we launched into the main presentation topic, with Microsoft Cloud Solutions Architect Brett Hacker presenting an extremely comprehensive and thorough presentation on Azure Active Directory. In this presentation Brett covered all the ins and outs of Azure Active Directory including The relationship of Azure Active Directory (AAD) to on-premises Active Directory (AD), the use of AAD by Office 365, Intune and other Microsoft cloud services as well as the Integration of AAD with thousands of other Software as a Service (SaaS) applications. He discussed the Graph API which forms the underlying single security API that proxies multiple services and supports single sign-on to them. Next, he went into a deep discussion of exactly how hybrid authentication works where AAD is integrates with on-premises AD as well as how Active Directory Federation Services (ADFS) and AD Connect are used to support single sign-on and same sign-on using common credentials for Cloud and Federated authentication, as well as how password hashes are used to safely integrate both authentication methods. Following that Brett covered how AAD Business-to-Business (B2B) and Business to Consumer (B2C) authentication works to allow authenticated access by external businesses and consumers. Bret finished up with a very comprehensive demo of an application that illustrated all of the above features of AAD. All-in-all it was the best AAD presentation that I have ever seen. The slide deck can be downloaded from here. Note that Brett is using the AAD demo application that he presented in the meeting to share the slides at that link. If you are located in the Nashville Area, or any of the surrounding areas, we invite to you become a member of the group and to attend future meetings. All are welcome, and meetings are always free. As some of you may know I am a Cloud Solutions Architect specializing in Microsoft Azure here in Nashville. That is my “day-job”. What some of you may not know is that I am also the Founder and current President of the Nashville Microsoft Azure Users Group. This group has grown from 4 members to over 900 in the space of five years. Although I would like to claim credit for that the meteoric rise of Azure has had a lot to do with it. In the group we try to mix up the technical level of our presentations, having introductory talks for those new to Azure and deep-dives for the more experienced members of the group. In May we did an introductory Azure Platform Technical Overview. In June we had Microsoft MVP and Pluralsight author Tim Warner presenting an Azure Networking Deep-Dive. At the July meeting we did an updated version of the May talk titled New to Azure for those new to the platform. In August we will have Microsoft Cloud Solution Architect Brett Hacker presenting an Azure Active Directory Deep Dive. If you are interested in our meeting schedule, and/or to find out more about the group, we invite you to visit the group’s MeetUp site. What follows is a summary of our July meeting: New to Azure. Following that, we launched into the main topic, presenting a fairly complete overview of Azure for new members. That presentation outline is listed in detail here and the presentation slides can be downloaded from here. 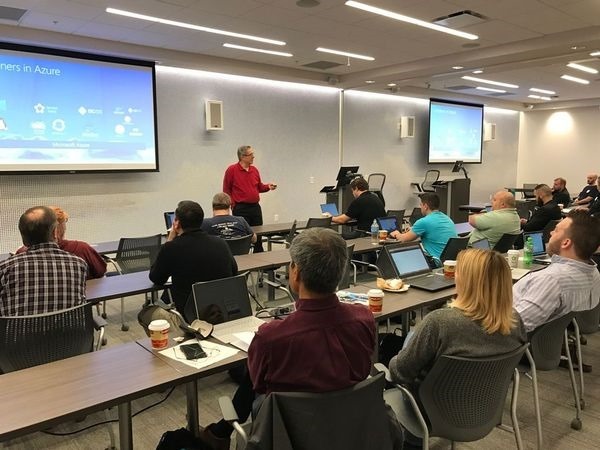 We had an excellent turnout for the May 17th meeting of the Nashville Microsoft Azure Users Group, a group that I have been leading for nearly five years. At this meeting I presented an Azure Platform Technical Overview that covered all of Azure at an architectural level and discussed “What to use When”. This is a presentation that I have been evolving since before Azure was even called Azure (circa 2017). In fact, one of my standard jokes is that “it still isn’t finished!” (Of course, as Azure changes every few weeks, it most likely never will be finished.) For more about my history with Microsoft and Azure see the About Page of this Blog. For those of you who attended the meeting (and anyone else who is interested) you can download the presentation slides from here. At the meeting we also distributed 20 free Azure Pass subscriptions donated by Microsoft to our group for when we held the Nashville edition of the 2018 Global Azure Bootcamp. Our next meeting will be on April 21st when Tim Warner, Microsoft Azure MVP and Pluralsight author, will present a Microsoft Azure Networking Deep-Dive. If you plan to attend you can find out more details and register at that site. 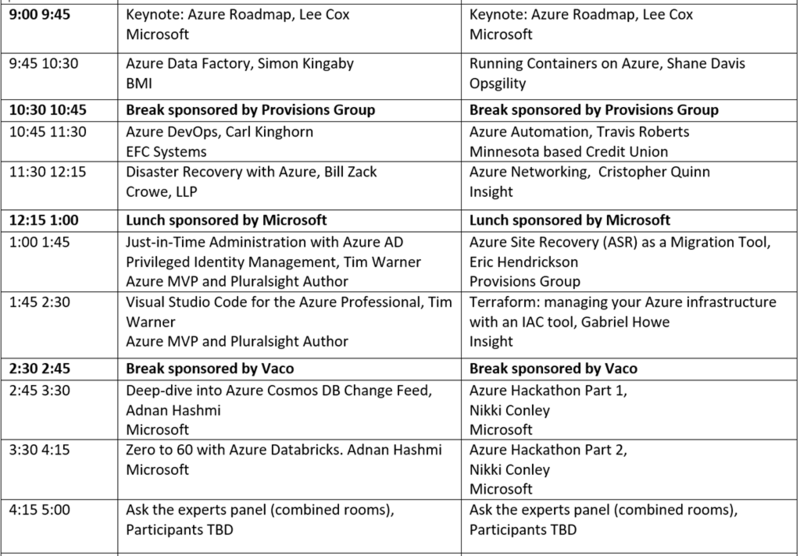 Everyone with an interest in Azure is welcome to attend. And all meetings are always free. Back in 2015 I wrote this blog post based on over 15 years of experience running user groups. Time does not stand still and things have changed a little since then, however the basic ideas are still valid. Here is an update in case you are a user group leader or are contemplating becoming one. My notes in square brackets represent what I have learned since then. I have been involved in one way or another with user groups for many years. I currently run the Nashville Microsoft Azure Users Group. Our group has grown from 4 members in 2013 to over 800 members today. I encourage everyone to either get involved in a local user group, if one exists in your area, or to start one if it doesn’t. By way of motivation; because I was very active in the user group community years ago I was made a Microsoft MVP. That eventually helped lead to my working for Microsoft as an Architect Evangelist. That, in turn, led to my discovering Azure (before it was actually called Azure) internally at Microsoft. Ultimately that led me to be an Azure Specialist and to my day-job as a Cloud Technical Solutions Specialist at Stratum Technology Management in Nashville. Having been involved with user groups, for computer industry professionals for many years, I’d like to offer some recommendations. If you’re thinking of starting a user group for computer industry professionals or are running one now, please contemplate these lessons, drawn from my experience. You might want to consider reviewing the list from time to time to keep you true to your mission. If you have a web site keep it simple and clean. This will allow members and potential members to find the information they are looking for quickly. Let your members and potential members know when and where meetings are located prominently on the home page. Make it obvious. 2. Your own web server or a web hosting service? Use a web hosting service, here’s why. Web hosting services can be had for $5-$10 a month. You can’t even power a server for that much a month. Think about it. Your volunteer web server maintainer has to provide, 24X7 up-time, server monitoring, back-ups, software updates and hardware upgrades. Using a web hosting company, they are responsible, not one of your volunteers, and issues over hardware ownership are non-existent. You might consider finding a company offering to donate web hosting. I would strongly advise against it. While it may appear appealing, in the long run it’s not worth the trouble. I have tried it, and these are the issues I have run in to. You are a low priority, if a priority at all. If the company ever retracts the offer, you will have the hassle of moving the web site, and then making sure all the pages and links work on the new site. You will then have to change the DNS and wait for the new DNS info to be updated while your site is unavailable. For less than $100 you are better off focusing on other issues than your web site. 3. Your Web page needs a findable URL. The usual http://www.some-isp.com/~username/UGname/ URL isn’t any good. You want people who know no more than the group’s name to find you easily. For that, http://www.our-group.org is ideal in the USA — and similar names for groups elsewhere. For instance, my Azure meetup group can be reached by its MeetUp group URL or at www.nashazure.com. You should choose a user group name whose Internet domain isn’t taken. You can check at http://www.internic.net/whois.html Do not type the potential name into your browser, as some companies will immediately place a 30 day hold on the name and then offer to sell it to you. 4. You need a regular meeting location. Changing meeting locations will cause your group to lose attendees. Why? It’s too hard for people to remember where the meeting is from month to month. The other reason is because it’s a strain on people. They have to find out how to get there, where to park, whether the neighborhood’s OK to walk in, etc. You can tell them, email them, and they’ll still wind up at the wrong location. Once that happens the word will get out that the group has folded, and then it’s too late. 5. You need a regular meeting time. “Regular” usually means same day of the week or month and keep it that way. Most groups meet once a month; first Wednesday at 7:00 or third Thursday at 6:00. (Give people time to get there from work.) Make it easy to remember and easy to enter in people’s smartphones and PC calendars as a reoccurring event. Don’t get fancy with things like “every other Thursday”. Avoid Monday’s and Fridays if you can. You should also avoid having meetings near 3-day weekends. Make it so anyone with a calendar can easily figure out when the next meeting will be. 6. You need to avoid meeting-time conflicts. Check out the schedules for nearby events: other user groups, sporting events or other events your audience is likely to attend. 7. You need to make sure that meetings happen as advertised, without fail. Show up to have a meeting rain or shine, locked meeting room or not. Have a few members show up early to avoid potential problems. If there is a problem, let people know by posting a sign or flyers apologizing and letting them know when the next meeting will be occurring. If you need to cancel or reschedule an event that you’ve already been advertising as “upcoming”, don’t simply remove the original listing on your Web pages: Continue to list it, prominently marked as cancelled or rescheduled. You may want to have a Program Chairman, A Sponsorship Director, A Publicity and Outreach Director to help. Ideally you need help focusing on things like dealing with sponsors, soliciting SWAG for meeting raffles, outreach to local colleges, etc. 8. You need a core of several experts. You will need a couple of experts who are energetic and willing to share their knowledge with your members. A users group should be neutral territory for community interaction; Vendors should not be allowed to sell their services during a meeting. 10. Place your meeting time and location prominently on your web site’s Home page. Make it overly obvious when and where your meetings are. If you don’t, people will find your email address and ask. A lot. 11. Include a maps and directions to your meetings. Be helpful to your members, include a map and clear step by step directions. Offer suggestions for parking, and public transit if available. Give as much detail as you can. 12. Emphasize on your main page what your group is all about, and the dues or fees or if meetings are free of charge and open to the public. Make it clear before people arrive. If there is a fee let people know in advance. 13. Use a list server or mailing list program to send out info to your group. It is very important that you should own your mailing list and keep it private. Make every message you send out important, so members will read them. If not, your mail will quickly be linked to spam. Do not share it with vendors or sponsors. Most members will want their mailing addresses kept private anyway. 14. You don’t need to be in the Internet Service Provider business. Leave the ISP business to the professionals. Some groups have tried to offer this as a service to their members. Don’t! Same goes for email accounts. You are a user group, not an ISP. Leave that up to the professionals. 15. Don’t go into any other business, either. Some user groups get sucked into the strangest, business schemes. Don’t! You are not a Web design firm, a technical support firm, a network design consulting firm, or a LAN cabling contractor or any other business. Not even if you’re told it’s for a wonderful charitable cause. Along the same lines, remember that you are not a convenience for job recruiters: If allowed, they will spam your mailing lists and abuse every possible means of communication with your members. Nor are you a source of computers for the underprivileged, a repair service for random people’s broken PCs, or a help desk. I have been pestered by all of the above. As much as you would like to help, leave it to the professional in you group. [ ] Current meeting info? Is it prominent? [ ] Day of the week? Beginning time? Ending time? [ ] Double-check day/date matches against a calendar and conflicting events. [ ] Directions (car, public transit)? Parking tips? [ ] Is an RSVP mail required to attend meetings? [ ] Note that meetings are free and open to the public (if they are)? [ ] If there’s a special fee, is it disclosed next to the event listing? [ ] If location / time / date formula has changed recently, is this noted prominently? [ ] Have you checked for event conflicts with other nearby groups, or with holidays? [ ] Includes event date-formulas (e.g., 4th Tuesdays)? Prominently? [ ] Checked all links on your site for dead links? [ ] Read all your Web content attentively for outdated content? [ ] Review and update all user group lists that have entries concerning your group. Are they correct and up to date? [ ] Reviewed all sites that link to yours? Advised their webmasters of needed corrections?